Andrew Wollensak left his job at Bausch & Lomb to go into business with his brother John in 1899 to make photographic shutters, though they soon began making lens and became Wollensak Optical . Based in Rochester, New York, the home of many photographic concerns, the Wollensak brothers ran the company until their deaths in 1936 and 1939 respectively. Revere is, sadly, one of the least documented companies I've tried to research. I haven't found much about this company at all. But here is what I know. Samuel Briskin began Excel Radiator in Chicago in 1920. In 1939 one of his sons began making movie cameras through a subsiary. Briskin eventually sold off Excel and devoted himself fully to Revere Camera. Revere eventually purchased Wollensak to vertically integrate its source of lenses and shutters. While they were at it, they decided to use the brand on cameras as well. Revere's bread and butter was its movie cameras, but they expanded their business into other things, including well-regarded audio equipment. In 1960, Briskin was was diagnosed with inoperable cancer, and sold his company to Minnesota Mining and Manufacturing—more commonly known as 3M. They ran it until 1972, when they shut Wollensak's factory down and retired the brands. One of the best sources I've seen, and the one I rely on most, comes from the Southwest Museum of Engineering, Communications and Computation (SMECC). they have a section called Wollensak Recorder History and Guide, written by one of Wollensak's service manager/technicians. The author, Stenkbomm (that's all the article says, so I don't know if that's a surname or something made up for a username), goes through each of the Wollensak models and describes them and their place in the catalog. It's the only reason I even attempted to make these pages. I wish someone had done the same for Webcor. I grew up in the era of 8-tracks and cassettes, and the mono/stereo problem did not come up much. 8-tracks were commercial pre-records so you played them only, and they were stereo. Commercial pre-recorded cassettes were stereo play. Growing up I only had mono-cassette recorders and never thought about it until I started to write this section. Stereo recording was mainly done on cassette decks that were jacked into the tuner/amp, and designed to record off the radio, turntable or (later) the CD player. But reel machines are a different animal, particularly the ones from the 1950s. Reel-to-reel tape machines went through an incredibly rapid development period. From a consumer point of view, you went from ground zero in 1950 to 4-track stereo in about a ten year period. Like many other products that went through a similar fast development (e.g. computers), the future was never clear cut; manufacturers struggled to appear current while trying to sell the equipment they'd already manufactured, all the while never being sure if the decisions they made for next year's model were going to make them a fortune or drive them into bankruptcy. At the center of the mono/stereo recording system is the "track." If you imagine a length of tape, you can divide it horizontally into tracks, like lanes on a highway. A full-track recording uses the entire width of the tape, so you can only record in one direction. Early machines and early, monoaural professional machines use this method. It's rarely seen on consumer machines. Half-track recording provides two tracks, with a gap in-between so one doesn't leak into the other. Early monoaural machines are half-track. Each track goes in a different direction, so each track is a "side" of tape. On most older reel machines, you'd record or play one side of the tape, and then flip it over and record or play the other side. Webcor machines, even the earliest model 210, could record and play in either direction and you didn't have to flip the reel unless you wanted to. Half track is monoaural. Stereo requires two tracks, typically called a Left and a Right track (to mimic the listener's left and right ears). But there are different ways to arrange the tracks. One way is to record both tracks side-by-side they take up the full width of the tape (i.e. you only record and play in one direction). That would make it compatible with old 1/2 track mono, because you could play one track. Two-track stereo divided the tape into four tracks, two in each direction. The two channels were adjacent to each other. The advantage of this method was that the mono heads could be replaced with a pair with the least amount of re-engineering of other components (such as the erase heads). Many early stereo machines used this method, particularly for home recording, and some mono machines were converted with aftermarket conversion kits. Four-track stereo divided the tape into four tracks, two in each direction, and alternated them; imagine a four lane highway set up so that lanes 1 and 3 were Eastbound but lanes 2 and 4 were Westbound. This was incompatible with the old half-track monoaural systems, because the monoaural head would play one track going forward and one track going backward simultaneously. This is the stereo system that eventually became standard. Most pre-recorded stereo tapes are 4-track monaural. Home-recorded tapes, regardless of whether they were recorded in mono or stereo, would be 4-track compatible on later machines (early 1960s and onward). The Wollensak T-1500, for instance, is half-track model; the 1515-2 is 2-track stereo, and the 1515-4 is 4-track stereo. If you only grew up with cassette players, you don't think in terms of speeds. But it works a lot like the old VHS videotape speeds: the faster the speed, the higher the quality, but the shorter the recording time because you go through tape faster. Reel recorder speeds are measured in inches-per-second (IPS). 7-½ IPS is the highest speed found on consumer machines. It offers the best fidelity (it's usually the speed where frequency response data are quoted), but it goes through tape the fastest. It's best for music or anything where sound quality is important. If you buy pre-recorded 4-track reel tapes, the ones recorded at 7-½ IPS will sound better than those with slower speeds. I believe all Wollensaks, except the T-600 portable, and many Reveres have this speed. 3-¾ is commonly found on consumer machines. It uses half the amount of tape in a given amount of time, but the trade-off is fidelity. The low-end (bass) doesn't suffer much, but the high-end sounds are typically cut in half, which means you get a muddier, AM radio quality sound. This is best for voice recording, even female voices, the very high frequencies aren't necessary. Many commercial 4-track pre-recorded tapes run at this speed. The sound quality isn't as good but the price was lower because they used less tape. I believe all Wollensaks and Reveres have this speed. The very early Reveres (like the T-100) only have this speed. 1-7/8 mostly shows up in the 1960s, along with 3" reel tapes, for voice recording where audio fidelity isn't required. They're good for audio letters, dictation, recording lecturers or interviews, and other things where you need to use as little tape as possible. Cassette and cartidge systems use this speed. I was apalled to see it was used on a commercial pre-recorded 4-track stape. Some Reveres, and only one Wollensak (the T-600), have this speed. What is my Revere / Wollensak Tape Recorder Worth? Before I start I want to make this clear. As I say on my contact page: I am not an expert. I keep a casual eye for Webcors, Reveres and Wollensak tape recorders (and a few other makes), so what I'm going to tell you are my own observations over the years. I invite anyone who knows what he's talking about to email me and correct me if and where I'm mistaken. Also: this isn't meant for museum-quality machines owned by a collector who has all the accessories and all the documentation and the original sales slip and looks like it was stored in a bank vault from the moment it was purchased. This is meant for people who find a machine in Uncle Fred's closet and they want to price it for an estate or a yard sale, and they want to know whether it's worth a couple hundred bucks or if it's just a white elephant. So what is my vintage reel-to-reel recorder worth? Reel-to-reels are impressive but they're big, heavy, they take up a lot of room, and most people don't want to put up with the hassle of running them. You can take a brand new LP and play it on a 1950s era record player as long as it runs 33-1/3rd rpm, but you can't buy reel-to-tapes anymore—not even blanks. The thrift shops have stacks of old LPs, including 78s, and cassettes. But very few have reel tapes. The few you find are usually someone's home recordings. Pre-recorded 4-track tapes tend to be from the early to mid-60s. Beatles, The Rolling Stones, and other classic rock titles might be collectable, but more likely you're going to find Ferrante & Teicher, Brasil '66, "Exodus and other Great Movie Themes"—that sort of thing. If it were me, I would start the price at $20. And then modify it as I explain below. Age isn't in your favor. Most people think electronics, whether they're radios, TVs, tape recorders, cameras—even toasters, are older than they really are. A few tape recorders came out in the early 50s, but the vast majority show up in the mid-to-late 1950s and through the 1960s. The American-made machines (Webcor, Revere, Wollensak, V-M, etc.) have a hey-day from the 50s through the early 1960s. With the rise of the Vietnam war, the dominate reel machines are Japanese. The earlier ones have American brands (Roberts, Concertone, Webcor) but later the Japanese names dominate (Sony, TEAC, Akai). The youngest machines tend to be the most valuable. Pioneers from the 1970s, for instance, fetch quite a price (i.e. over $100). The later Akais, TEACs, Sonys, even Panasonics, etc., from the 1970s onward do better than 1960s era machines, and forget the 1950s. Machines from the 1970s have a modern, sleek look. They're almost always table models—meant to sit on a bookshelf or cabinet and typically hooked up to a tuner/amp and big, separate speakers. They're audiophile equipment. Machines from the late 1960s look similar but tend to have wood cabinets and a "mod" look. They play the 4-track stereo tapes (the Ferrante & Teicher, Brasil '66, commercially pre-recorded stuff I mentioned above). Pricing on them is tough because you don't see many of them; I'm not going to hazard a guess, but I'd think maybe $50? Machines from the 1950s and early 60s, however, are not very valuable and few people collect them. They may look neat, but they're heavy, they take a lot of room, and unless you have tapes you want to play, you're stuck. Machines from the 1950s were 1/2-track monoaural, which means they won't properly play 4-track pre-recorded tapes. 2-track mono machines (very late 50s and 1960s) may or may not properly play 4-track tapes, depending on the machine. So unless you have a bunch of tapes for the machine to play—what you've got is just a curiosity. It's kind of like owning an old cartridge video game system, like a Magnavox Odyssey or an Intellivision. Small Portables are Not Valuable. In the mid-to-late 60s, many companies made small, truly portable machines that ran on a fistful of C or D batteries, took little 3" reels and ran at slow speeds: 1-7/8" or 3-3/4 inches-per-second. They were used by reporters who would tape interviews, college students to tape lectures, or people who record and play audio-letters for friends and relatives. If you ever saw Apocalypse Now, they had one on the boat playing a letter from home when they came under a javelin attack (about 2/3rd of the way through the movie). They were great for that. But they don't play the full-size, 7" prerecorded reels. And the slow speeds mean the sound quality is fair to abysmal. I'm sure a few people collect them, but for the most part they're "working" machines and people who want a compact recorder either get small cassette or digital recorders that do the same thing on AA or AAA batteries, with better sound, more features, and fewer headaches. I would price compact portables at $10. How Much Stuff Does It Have/is Missing? I recently bought two Webcors and both of them were missing the AC power cord. A lot of the older American machines had unpluggable cords that were kept inside the cabinet top—Wollensaks do that in particular. Later Japanese makes tend to just have brackets on the back for the able to wind onto (e.g. my Roberts machines). You can make a replacement cord for some machines—I just use a straight-end extension cord for my Webcors, but the Wollensak has an odd end and you have to be more creative to make a replacement. Some machines loose the microphone. Usually there's a clip in the case top or storage somewhere for it. Machines from the 50s almost always come with a microphone. The higher-end stereo machines from the early 60s would have two. Usually it ought to be obvious whether it comes with one or two, but even if only has one, that's good. Machines from the late 60s onward may not have any. The main thing is to see if there's a clip or storage spot for one in the cabinet—if there is, it should have the microphone. Vew people these days are going to actually record, but it looks better if the microphone is there, even if the mike doesn't work. Some machines came with other accessories, like patch cables to go into other machines, or record players or tuner/amps. They're nice if you have them but not a big deal if you don't. Owner's manuals are nice to have, especially now since most people don't know how to run a reel machine anymore, but are not required. How Does it Look? Most machines from the 50s were styled to look like luggage: fabric covered wood. The fabric tends to get faded, stained or frayed, but that's normal. Some look they spent the last 5 years sitting in the back yard, exposed to the elements. If you can do anything to clean up the cabinet, that would help. Fabric can be tacked down with glue. Shoe polish can help with some of the bad spots. On bare wood, try some furniture cleaner like Old English. For bare metal like the Wollensaks, try some 000 or 0000 steel wool and aluminum polish on the metal, and plastic polish (you can get it at auto-parts stores) for the plastic. Does It Play? Forget whether it records, because almost nobody's going to use it to record anymore. But does it play? You're much more likely to sell it if you can demonstrate that it works. It amazes me how many people on eBay are either too lazy or unwilling to do anything more than plug it in and see if any lights turn on. That doesn't tell you a lot. They expect someone like me to pay a chunk of money for something and then I have to fix it afterward. If the machine came with a tape, see if you can get it to play. If you don't know how to thread the machine and make it play, try a YouTube search—there are a number of videos that demonstrate how to do it, or at least show it running so you can figure it out yourself. Most reel machines have two speeds, some have three, so if it plays too slow, try the faster speed, and vice-versa. If you can get it to play, you're ahead of the game. You can do this with a lot of machines but it works best on the bigger, better ones from the late 60s. Get a 4-track stereo commercial pre-recorded tape, preferably one that plays at 7-1/2 IPS (best quality). Plug the machine into a modern tuner amplifier (like an 80s stereo system) with big speakers. Just plug it into the amp's "cassette" ports. Start it running and turn up the volume. Even if you're not a fan of the period music, it sounds incredible. 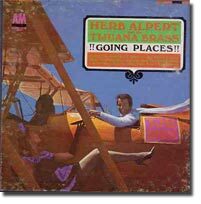 I don't particularly care for Herb Alperb and the Tijuana Brass, but playing a 7-1/2 IPS, 4-track, stereo reel though my Pioneer stereo and my big speakers really makes those trumpets come alive. What If It Doesn't Work? Price accordingly. Someone may want it as a parts machine. Or may be able to fix it. It Probably Just Needs Tubes. Maybe, but not likely. That's like having a car that won't start and saying it just needs new spark plugs. Most reel machines (and this goes for radios too) don't need new tubes. If they fail electrically, usually they need new capacitors. The good news is you can get new capacitors and replace them. The bad news is that you have to know what to get, how to solder, and which ones to replace. Mechanically, reel recorders may fail in a number of places. It's possible that the motors can be freed up and a few key spots lubricated. But again, you need to know what you're doing. Very likely, you need belts. Just about all reel recorders (and most phonographs) use rubber belts to transfer power from the motors to other parts of the machine. Rubber belts get old and either stretch, break, or disintegrate. I had a CD player apart recently where the belts turned into goo. Bad belts can mean that the machine turns on but won't run. Or one reel will turn but the other won't. Or it's turn too slowly at its rated speed. To replace the belt you have to figure out the correct size, figure out where to order it from, and then take the unit apart to put it on. Why You Probably Don't Want to Work On It Yourself if you don't know what you're doing: shock hazard. Solid state (transistorized) electronics generally run at low voltages (modern stuff is in the 12 to 15 volt range. Older stuff may be 50 volts), but tube amplifiers can run 200, 300 volts or more, and the low voltage stuff (like a 12 volt motor) may pull heavy amperage. Old televisions can kill you outright, but an old radio, reel recorder, amplifier, etc., even if it doesn't have sky-high voltages, can still ight you like a pinball machine and go tilt. If you aren't familiar with working with tube equipment, don't do it. What about Cartridge Machines? 3M owned Revere and Wollensak. About the same time they bought Revere, they also acquired CBS Laboratories, which was working on a cartridge system; and in the early 60s they came up wth the CBS/3M cartridge system. The're an old tv commercial showing one on YouTube, and a guy who demonstrates one on his workbench. It's a neat idea, but it failed. The Philips compact cassette is the one that took over the world, and it's a completely different system. So cartridge machines are neat but only as curiosities. If you have cartridges (the more the better), you can sell it. I would put it on eBay on a 30-day or whatever their longest auction period is, and let it sit until you find a buyer. Otherwise it's going to be a tough sell. Cartridges are rare and you don't see them at the local Salvation Army store. So that's it, folks. I can't offer much more than that. The old machines have a lot of character but are mostly curiosities. The newer machines are more desirable because you can still use them. Any of them are better if they work, otherwise they're just parts donors.